VSAI Blister Package. 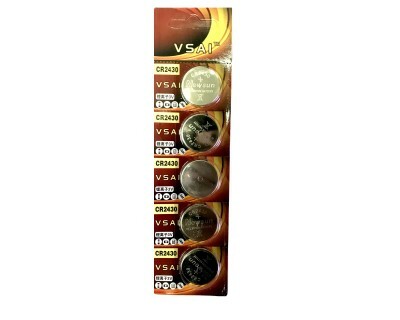 3 Volt Lithium coin batteries are used in a wide variety of applications, including most commonly used in car alarm keyfobs, older organizers such as the Psion, electronic measuring meters and devices, date/time backups in cameras and computers, electric thermometers, Salter weighing scales, calculators, electronic toys, digital watches and clocks and countless more applications. Perfect for watcwatches, medical devices and other electronics.